Kareena Kapoor is one of the highest paid actress in the movie business. And now, if gossips are to be believed, the actress has joined another league of top paid celebrities for brand advancements. Kareena Kapoor Khan is allegedly charging a hefty amount of Rs 11 crore to be the ambassador of a health drink brand for one year of work. According to a recent media report, a health drink brand is paying Kareena Rs 11 crore for one year of work, which embraces promo shoots and marketing campaigns. A source told the media house that, "The health drink had been in talks with her for some time. They are apparently paying her Rs 11 crore to be their brand ambassador for one year. This includes promo shoots and marketing campaigns. The report added that the amount is especially surprising considering her contemporaries usually charge Rs 5-6 crore for each brand. The source added, In the last 18 years, Kareena has been a consistent face of over 15 brands at any given point. 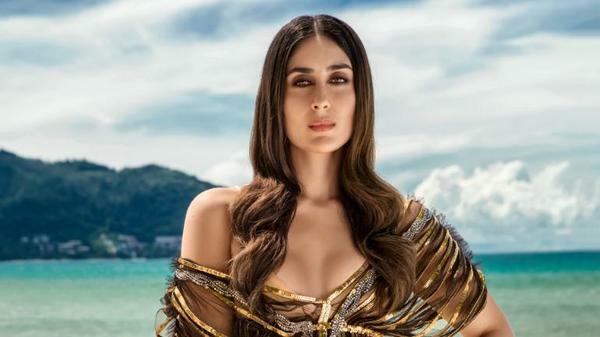 Her brand equity has increased after marriage and motherhood...The beverage caters to kids, so the team felt that Bebo, who is also a mom, was an apt choice. She shot for the first few television commercials and a print campaign on Saturday." We are not surprised that Kareena is charging the whopping amount for her ad shoot, after all she is the real queen of Bollywood. Do You Know How Much did the Cast of Thugs of Hindostan Get Paid? Deepika Padukone pays whopping amount as advance tax; beats Alia Bhatt and Kareena Kapoor Khan!! Who's Getting Paid 88 Crores for an Endorsement Deal? Kareena Highest paid Heroine for "Heroine"